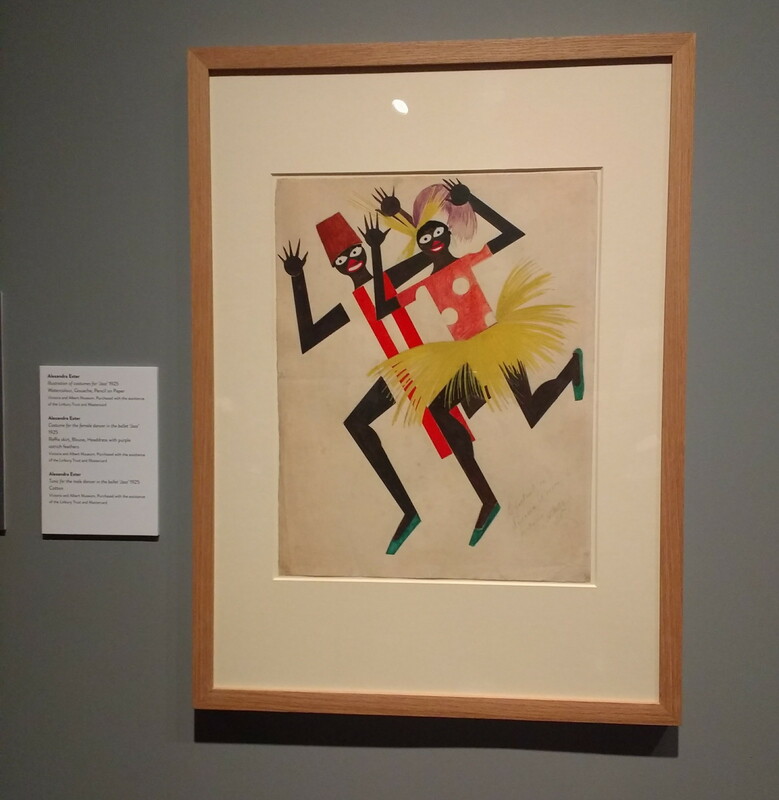 Although I said I thought this exhibition would be less controversial, I realised that wasn’t quite the case upon entering and being greeted by pictures of people in blackface (and really racist drawings of black people), but at least this time it was easy to understand where the curator was coming from – jazz was instrumental (intentional pun) in breaking down some racial barriers, and it was important to see how black people were depicted in British society in the early 20th century in order to understand the difference jazz made (although apparently performers in blackface regularly appeared on British TV until the ’70s, and you can still buy those awful “Golliwog” dolls, so maybe it didn’t make that much of a difference after all). 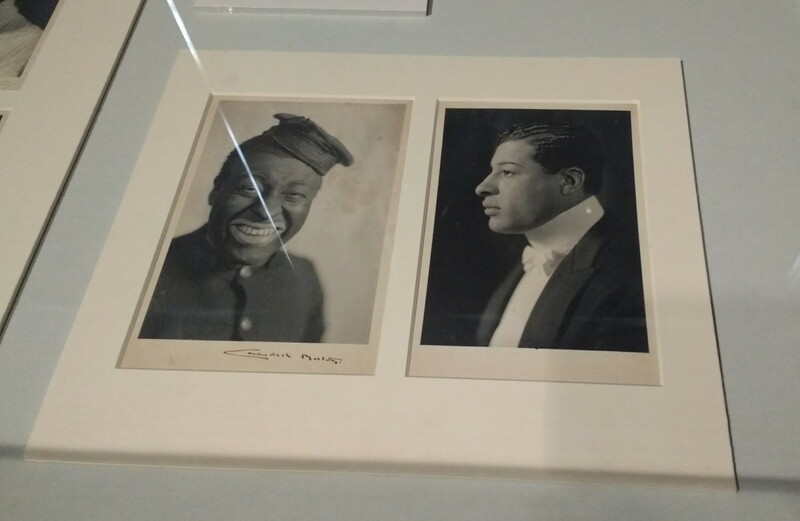 It was also interesting to learn that even people of African descent used blackface in some cases because it was such a recognisable stylistic convention at the time for performers of ragtime music. 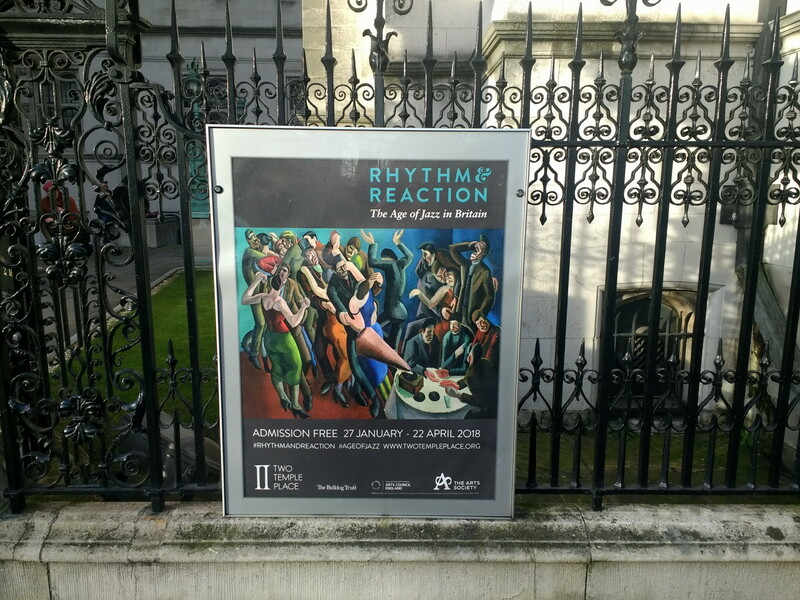 I soon realised that this exhibition wasn’t just an exploration of the Jazz Age on the other side of the Atlantic, but was in fact a very different kettle of fish to the one at the CMA. 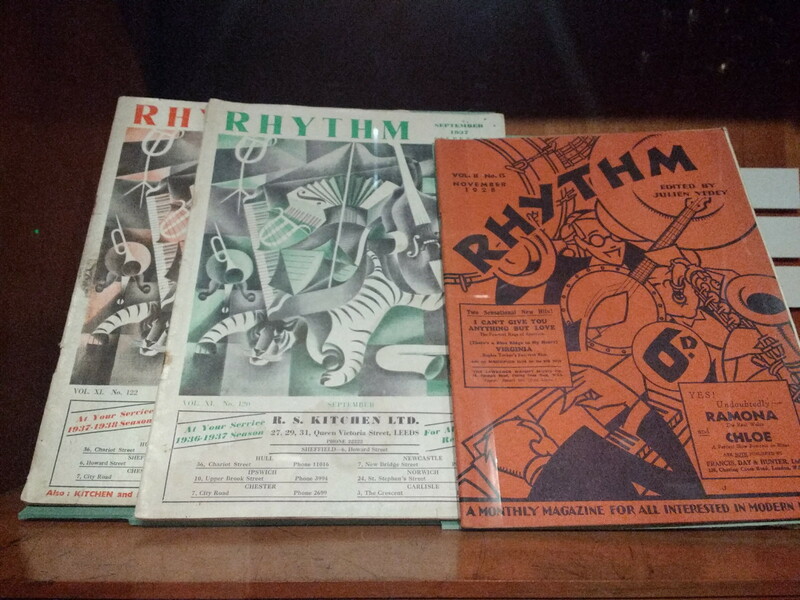 Whereas the CMA had focused mainly on material things and the joy of acquisition that in some ways led to the Great Depression, “Rhythm and Reaction” was mainly about music and the musicians themselves. 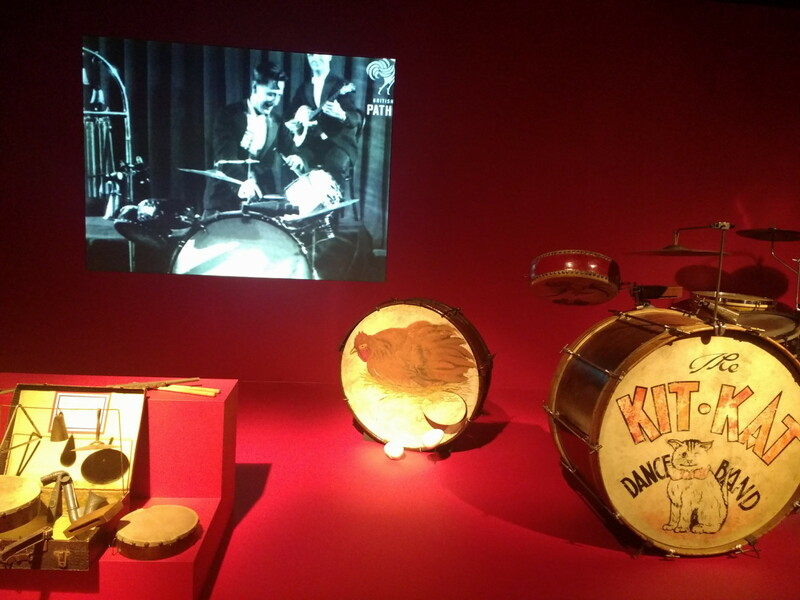 Therefore, a lot of the objects in the downstairs part of the exhibition were instruments, including a wall of banjos (I still REALLY want to learn the banjo), a player piano, and some most excellent drum kits, especially the one from the Kit Kat Club, and my very favourite specimen of all: a chicken drum that laid eggs! 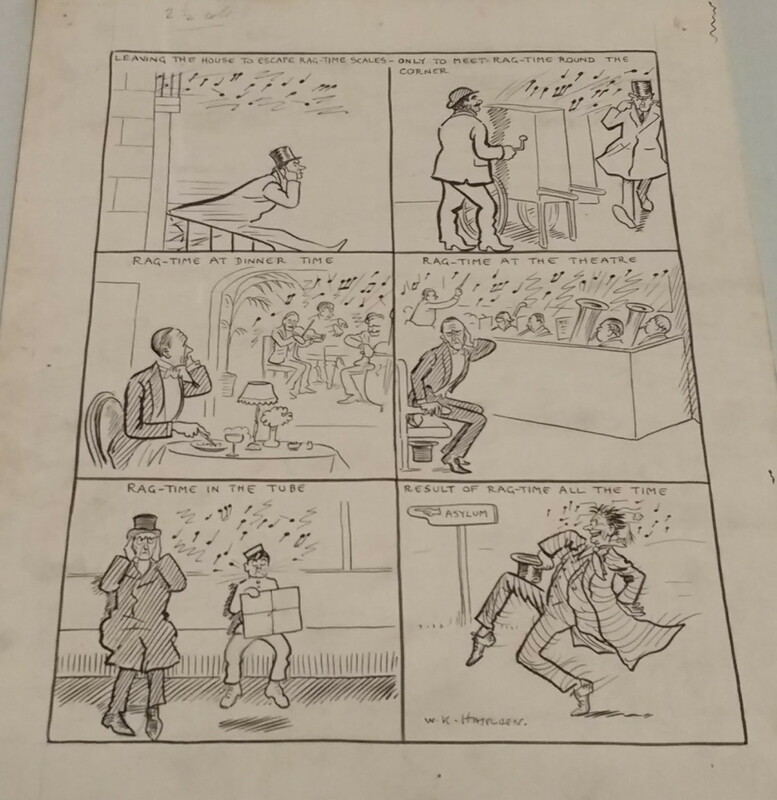 I also adored some of the cartoons that showed how people felt about jazz in Britain when it first became popular in the post-WWI era – the best one is pictured above, and shows a man being driven to insanity by hearing ragtime everywhere he goes (I don’t mind ragtime, but I can certainly symphathise by being driven mad by having to listen to other people’s music on public transport – my only consolation is that if I can hear it leaking from their headphones, I’m quite sure they must be ruining their own hearing, but whistlers are just plain obnoxious!). After finishing up downstairs (which had more in it than it might seem – you could only photograph some of the objects), we headed up to a room filled mainly with books, and a handful of objects relating to this period, including a tea set and that rather wonderful TfL poster (I just checked, and copies of this design are still for sale at the London Transport Museum, because TfL doesn’t miss a chance to make a quid). 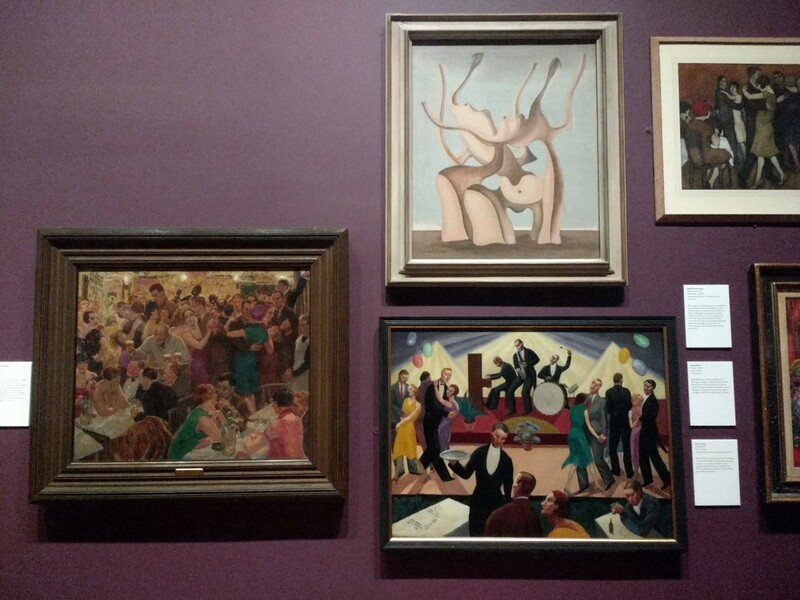 The room next to this (the final room of the exhibition) was both painting and text-heavy, and explained more about the impact jazz had on British society. 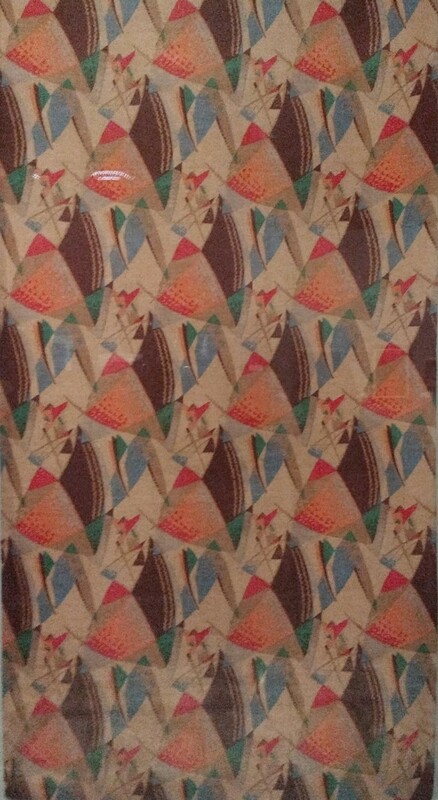 After the First World War, travelling American bands first brought jazz over to Europe, and clearly, some people liked what they heard, and developed their own syncopation-heavy style of British jazz (which purists eventually turned against, trying to get back to the African-American roots of the music). 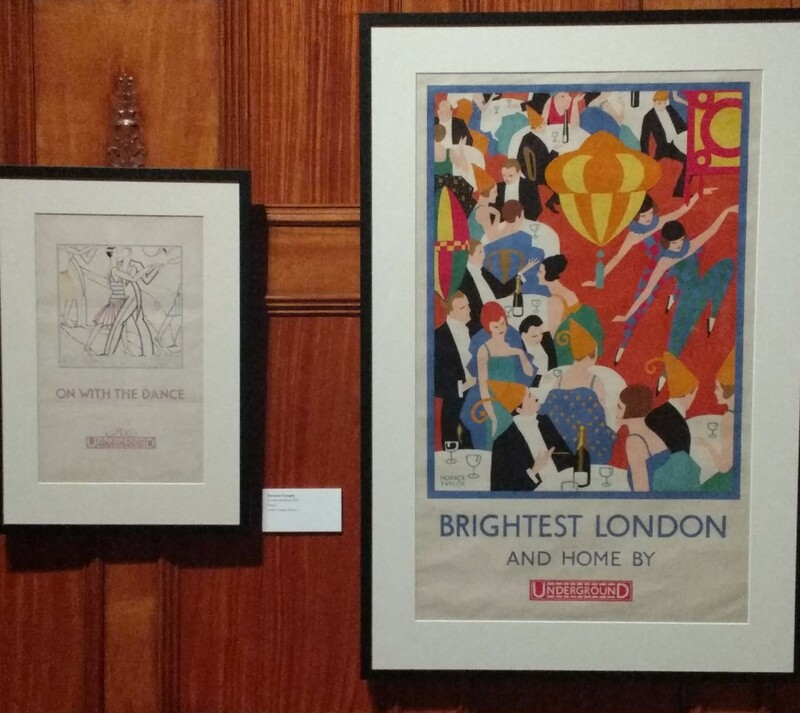 It gradually seeped into the wider culture, and began to inspire artists and designers. 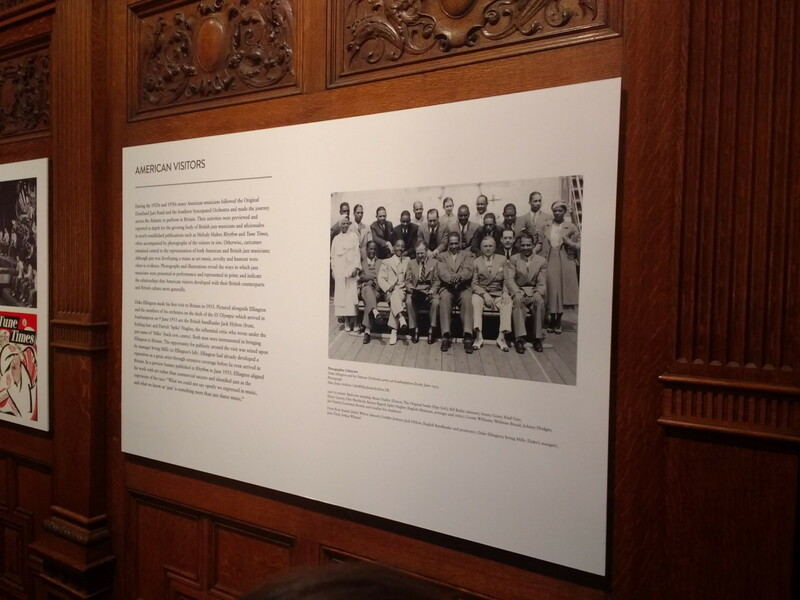 It also led to African-American musicians travelling to Britain, and because of a law enacted in 1935 which banned whole American bands from performing in this country (which was itself a response to American musicians complaining about British bands performing in the States), famous band leaders like Duke Ellington and Cab Calloway travelled by themselves and hired British (often white) musicians once they got here, which helped integration, at least amongst the musical community (though its impact on wider society clearly wasn’t as great as the exhibition seemed to imply). This was all well and good, and whilst I certainly enjoyed learning more about the role of jazz in 1920s and ’30s British society (at least some segments of British society), I felt that the exhibition tried to tell me about the effect it had on art and fashion rather than showing me, which I would have preferred (I realise fashion wasn’t included in the exhibition description, but I was hoping they’d sneak some in there). 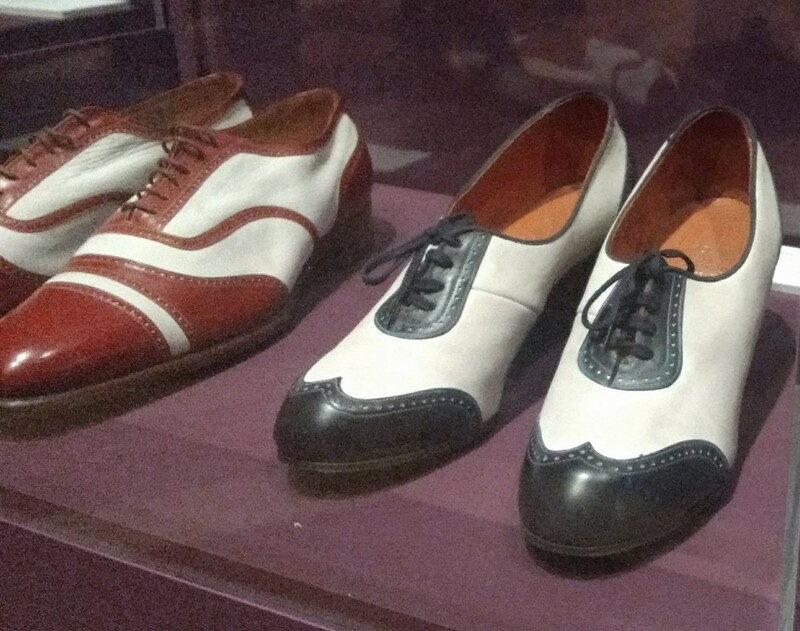 Sure, there were some examples of textiles, pottery, and those fabulous brogue-style heels from Liberty, which I would wear in a heartbeat, but the exhibition was mainly art and music based, and even the music aspect of it was shown more through signage or instruments than the music itself. There was jazz music playing on a CD player in most of the rooms, which did enhance the atmosphere, but I didn’t feel there was enough information about what I was hearing for me to really understand the difference between British and American jazz, since I have very little knowledge of musical terminology (this despite the fact that I played alto sax (poorly) for five years, and guitar (adequately) for seven, but I was just playing things other people had written, not composing my own music!). I also felt like there was a fair bit of wasted space that could have been filled up with objects. For example, there was a very long glass case in one of the rooms stretching across half the wall, yet the only things in it were two small books plopped right in the middle of the case. Surely they could have found something interesting to fill the rest of it up with! 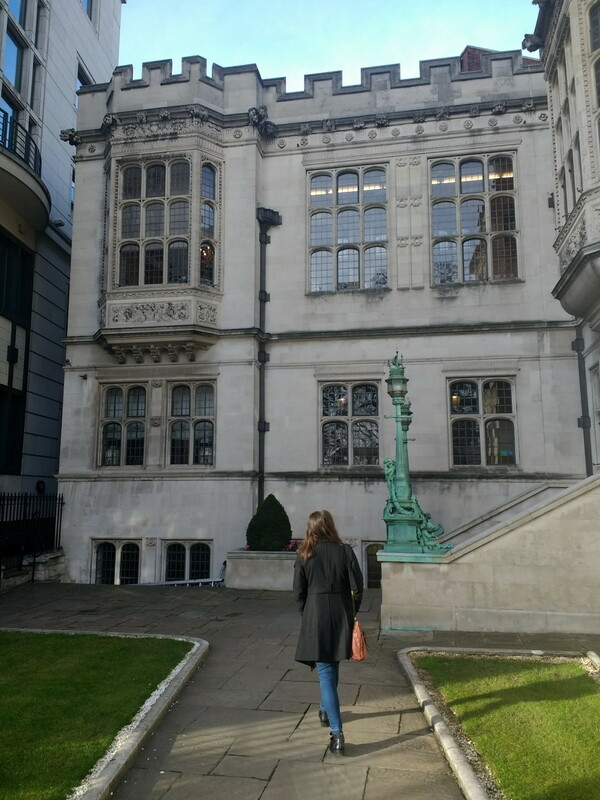 Although it took up the same amount of space as every other exhibition I’ve seen there, for some reason the Ancient Egyptian exhibition felt bigger to me, perhaps because there was more in each room so it took longer to look around. And though the text was mostly pretty interesting, some of it was hard to read! This was partly the fault of the people in the exhibition, like one man who planted himself in front of a video and refused to move so I could read the sign his big shiny head was blocking, even though I was quite obviously trying to crane my neck around him to see it; but some of it was due to poor positioning – why was there a long sign on the wall next to a video in the first place, especially when the lighting was quite poor in that corner? 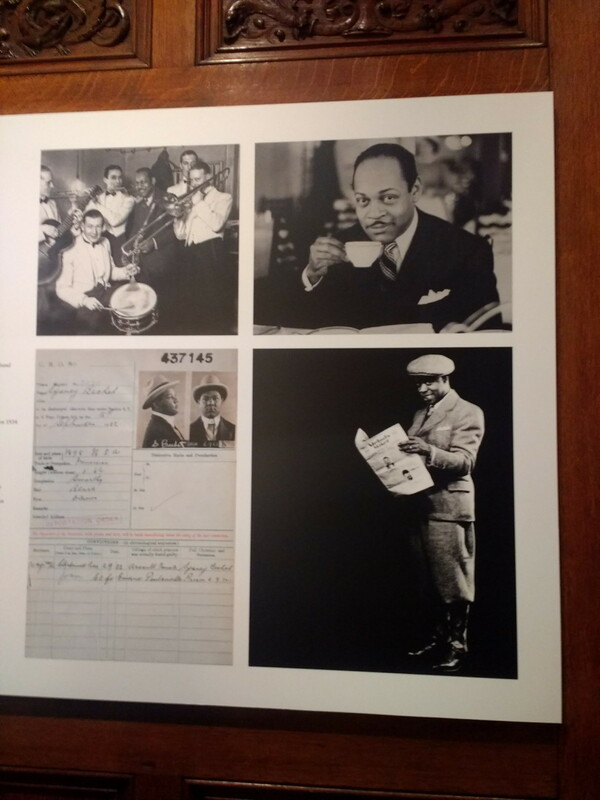 If there was some way that this exhibition could have been combined with the one at the CMA, then I would have been perfectly happy, as it had some of the things the CMA was lacking – a discussion of the way jazz impacted society, as well as some examples of the music itself – but lacked other things that the CMA did so well, like providing concrete examples of the way jazz affected style and architecture. 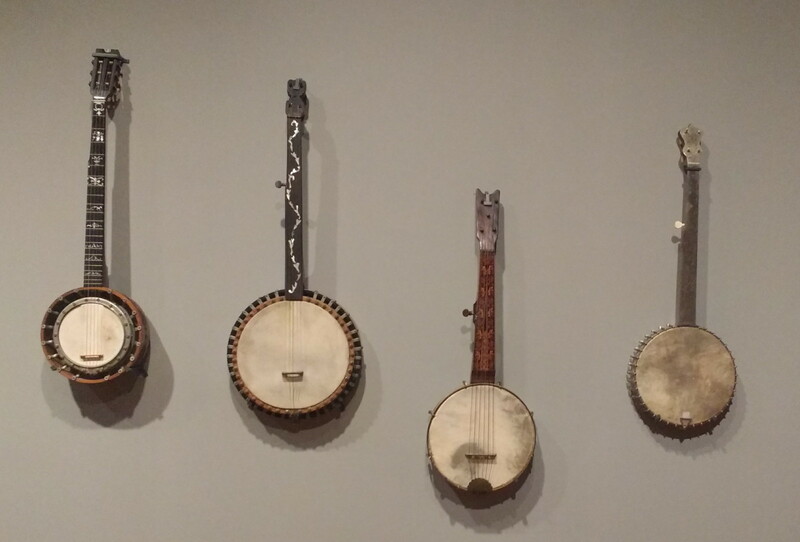 Basically, I wanted all the beautiful things from the CMA, but with a bit more context and soul. 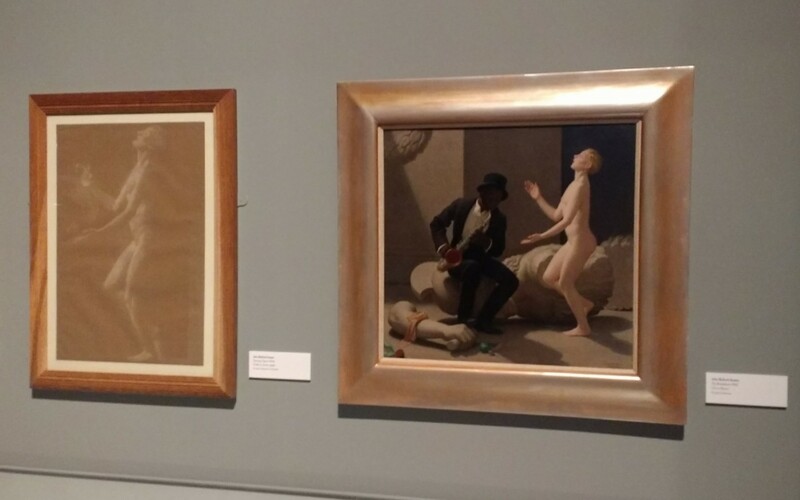 There were no clothes to speak of here, except the quite racist costumes shown above, and very little in the way of other material goods, and I think when you’re talking about a period with a style as iconic as the 1920s, it would be nice to have some examples of both, particularly since they had enough space to include more. 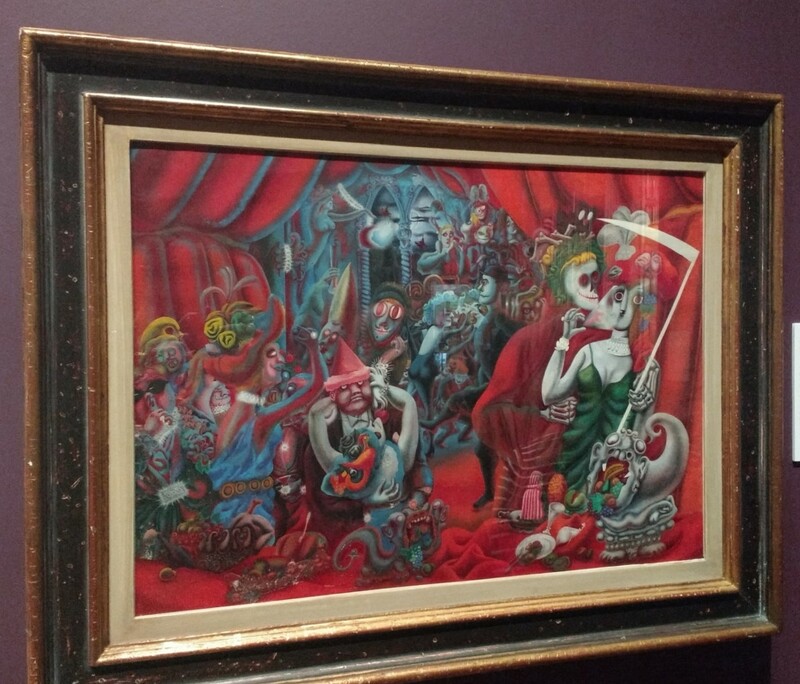 But it was a free exhibition, versus the CMA’s $15 admission fee, so I can’t complain overmuch. It was a fine way to kill half an hour or so, and I liked learning more about the jazz age in England, I just wish I could have been shown the impact of jazz in a more visual way (or in a more auditory way for that matter, since we are talking about music!). 3/5. 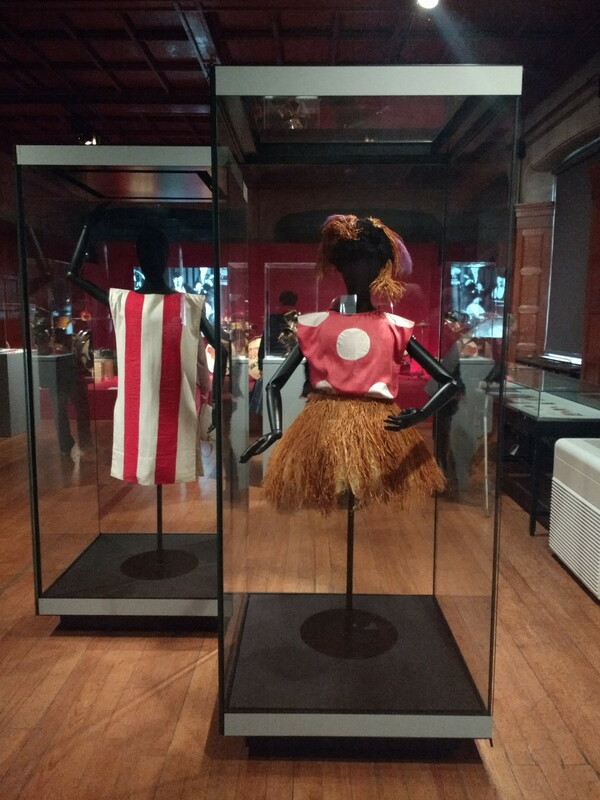 Oh yes, the Black and White Minstrel Show and Robertson’s Golliwogs on jam jars, staples of the 60s which I enjoyed because I didn’t know any better and the implications were really lost on me. I haven’t seen golliwogs in this country for a long time but was surprised to spot a few in Amsterdam, including some as part of Christmas decorations. Ugh! I still see them for sale here and there. I remember there being loads in York for some reason, which took me aback when I was there, as it was the first time I’d seen one, and I still spot them occasionally in seedy seaside towns too, so someone must be buying them! Or else they’ve just been sitting around for forty years in the hope that someone would buy them someday, but I’m sadly inclined to believe the former. Really, that’s awful. I thought they had become completely unacceptable. I really like the premise of this one – it’s a shame it didn’t really deliver. I listen to a lot of early American Jazz, but can’t say I know any British stuff. I’ll definitely have to look some up to see (well, hear) what the heavy syncopation was like. Oh my god, I want those spectator shoes so bad. Hell, I’d take the men’s pair too. It’s good you got to see both shows – between the two you got most of what you wanted! I love jazz, but realized reading this that I know nothing about British jazz. Might have to fill that gap in my knowledge a bit. 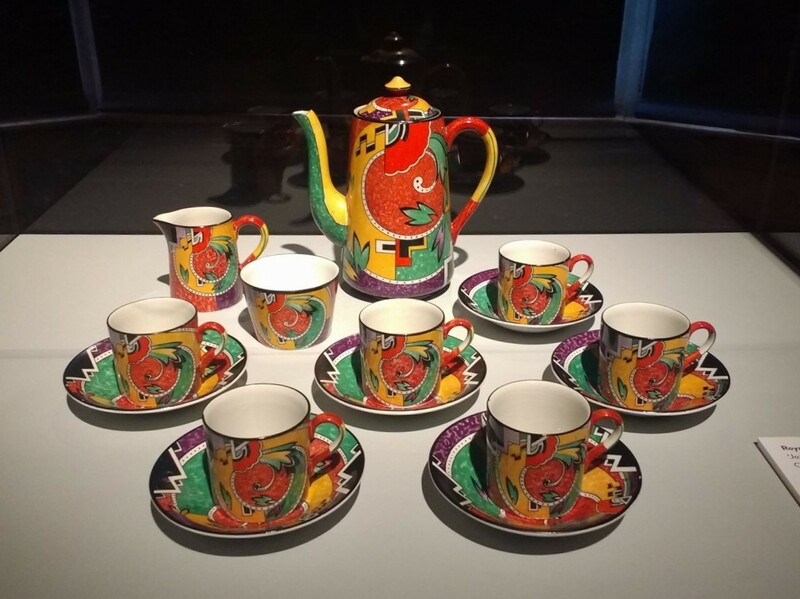 Do you recall, was the tea set a Clarice Cliff design? It’s not exactly her classic style, but reminds me of it. LOVE her work. 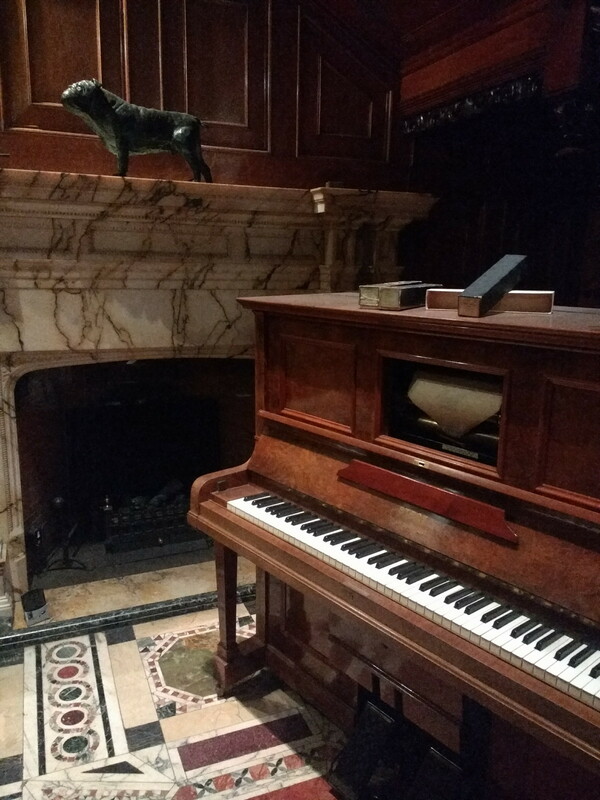 Of course I inconveniently cropped out the caption in that photo, so I’m not positive, but after doing some reverse image searching I think it’s the Royal Winton and Grimwades Jazz Coffee set, so no, probably not!